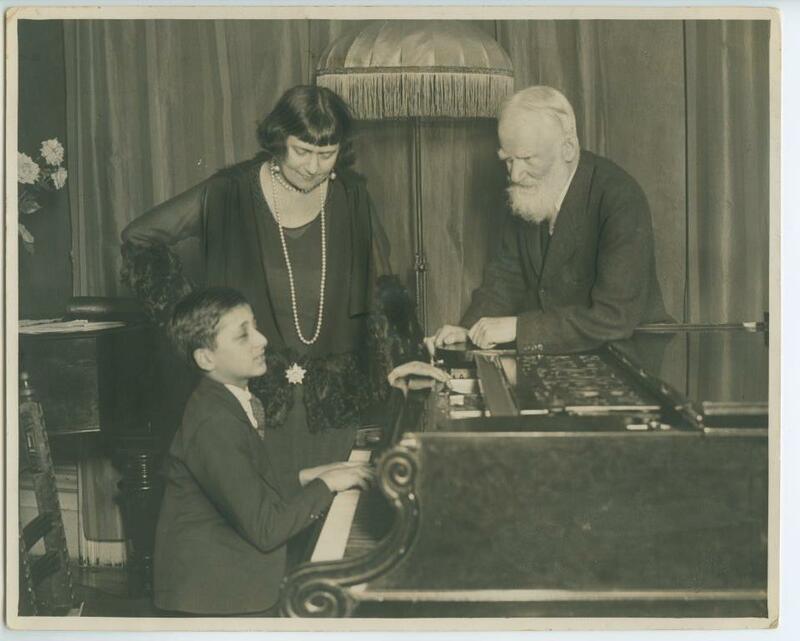 Harold Rubens was a Welsh piano prodigy, shown here playing for George Bernard Shaw. When he got too old for the prodigy business he moved to South Africa, where he became active in anti-apartheid groups. Working with Nelson Mandela, his piano playing skills were in demand. According to Norman Lebrecht, writing on Slipped Disc, resistance groups would meet in Rubens’ home, where he could play loudly to cover up the conversations and prevent their being picked up by the secret police. I wonder about that Beethoven being so very loud. I play that piece and it is impossible to get the right elegant effect if you are too heavy. I guess I won’t be invited to host any resistance meetings around here. Rubens’ sister was the novelist Bernice Rubens who wrote the novel Madame Sousatska, based on Harold Rubens’ piano teacher in London. It was made into a movie starring Shirley MacLaine as one of my favorite movie piano teachers. You are currently browsing entries tagged with Harold Rubens at Piano Connections: The Studio of Megan Hughes.